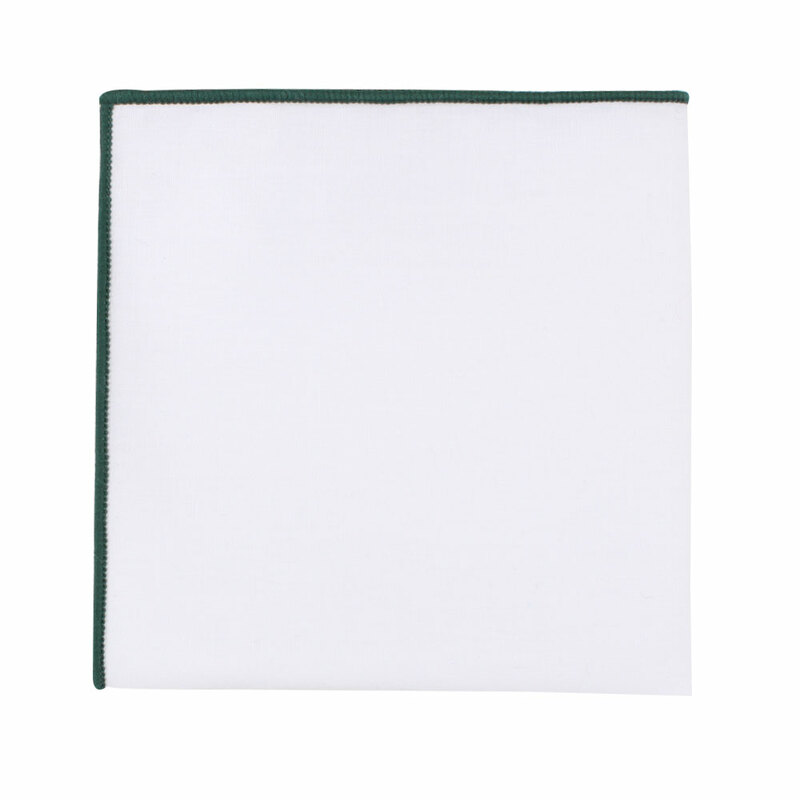 Tuck a bit of colourful elegance into your breast pocket each time you step out of the house with this fashionable and versatile Dark Green Edge White Pocket Square. 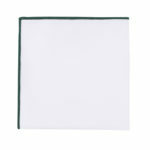 The deep green hue trim offsets the airiness of the white for a look that goes along with practically any suit. 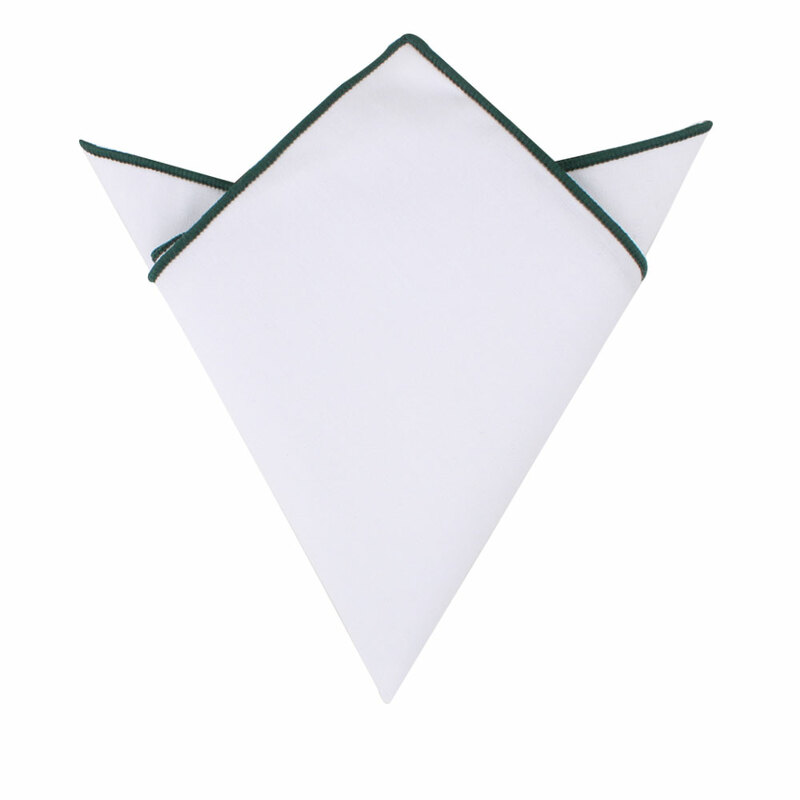 Buy these pocket squares online with ease to gift them as a groomsmen accessory to match up with the colours of a fall wedding or to simply align with the palette of the bridesmaids’ dresses. 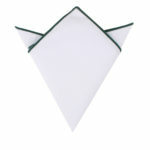 Tasteful, sophisticated charm is just a click away when your purchase this dapper pocket square.